Ferrero Rocher Grand Rocher 240g. Ferrero has created this perfect combination of beauty and classic Ferrero Rocher recipe to bring you this very unique and special gift. 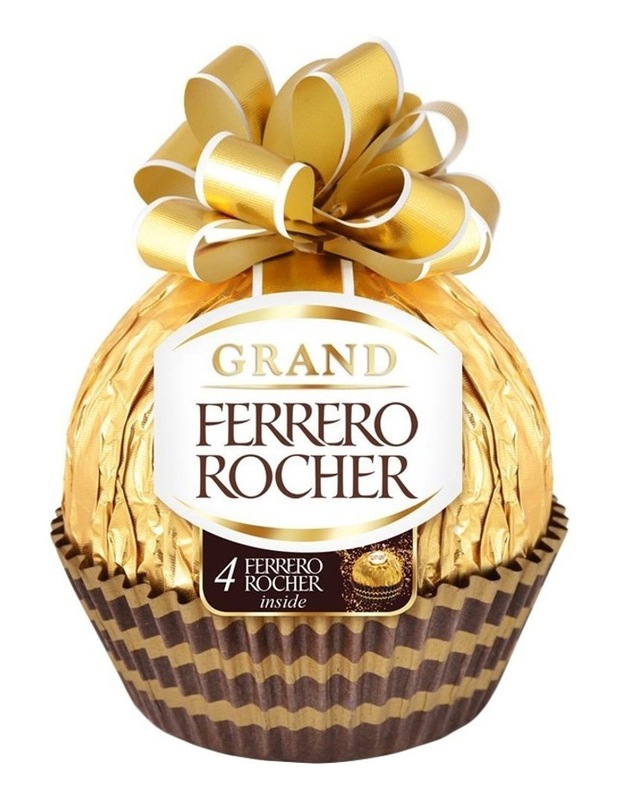 The Grand Ferrero Rocher 240g has a delicious milk chocolate hazelnut shell and contains 4 Ferrero Rocher inside. For product ingredients, please refer to product images.